More than 5,000 years ago, the Nile River gave birth to one of the greatest civilization in the history of the world – Ancient Egypt. Ruled over 3,000 years by kings called Pharaohs, the Egyptians crafted intricate artwork, built great stone monument and developed the world’s first national government. They created the first form of the 365 day calendar and a kind of writing called hieroglyphics, leaving behind a record of their world in words as well as in stone. 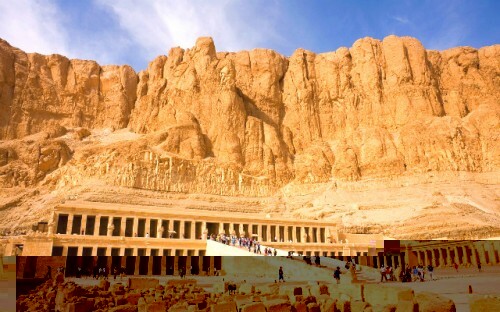 The ancient Egyptians built great tombs, many of which still stand today. But the Egyptians were not obsessed with death; rather they were so in love with life that they wanted it to go on forever. And so created tombs for they believed in immortality.